Federal's Tactical LE line was developed to deliver exceptional performance when your life is on the line. These 2-3/4" shells hold a 1 oz. Hydra-Shok slug that leaves the barrel at 1,300 feet per second. 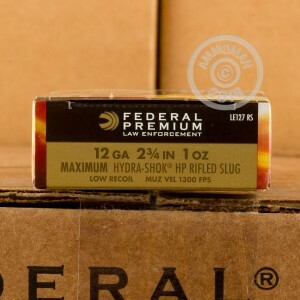 Federal uses a blue and red color code system on their tactical shells for designating hot rounds and low recoil rounds. 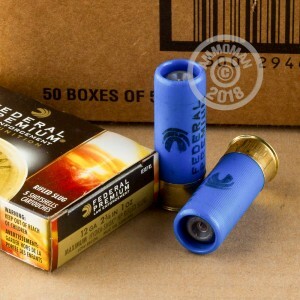 These shells are the blue low recoil rounds and will be easier on the shoulder than the red version. 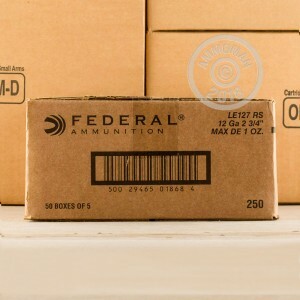 Federal Premium Ammunition goes by the slogan "Every shot counts." The Tactical LE line of ammunition that they have developed is designed to be the most reliable and consistent ammo for when your life depends on it. Place any order over $99 at AmmoMan.com, and we will provide free shipping!